Gold plated high quality 3.5mm Jack. About Quality: This Cable is HIGH QUALITY cable, much more thicker than the cheap one. 1.4 HDMI cables are the most recent version of the HDMI cable. The 1.4 has a lot off new advantage over the old version 1.3. If you don’t want to change you HDMI cable in the future might as well buy the version that you will need. The 1.4 is made for 3D home theatre, high and gaming graphic HDTV box and more. The HDMI 1.4 cables also have Ethernet connection (used now on TV with browser option and more). 1.4 version, 10.2GB transfer rate, 340 MHz, 30 AWG. 48-Bit for unprecedented rendering of billions of colours. 24k gold-plated connectors ensure superior signal transfer and a maximum performance. HDMI twisted pair cable construction. Electromagnetic interference and radio frequency interference. Fully compatible with HDMI version 1.3 and all HDMI cables and devices. 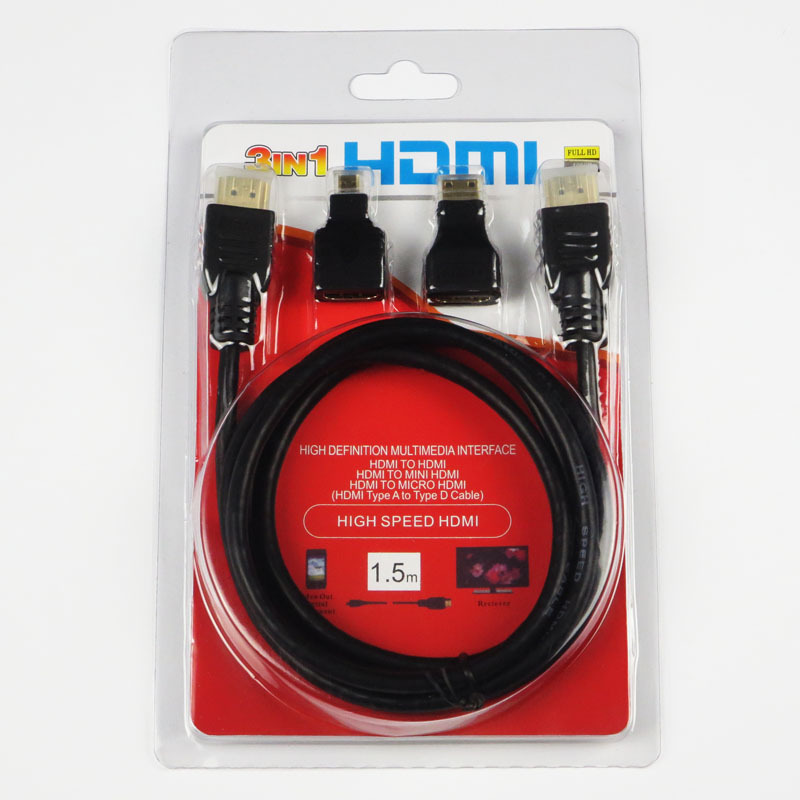 HDMI cables are a perfect solution for connecting a digital camera or camcorder with HDMI input to an existing standard HDMI device. Easily connect your HDMI cables with this right angle adapter. Allows easier access to all of your HDMI ports. Adapter transfers signal while making cable connection ideal in limited spaces. resistance in corrosion, transfer 100% data without reducing resolution. Right Angle 90 degree adapter with (1) male HDMI port and (1) female HDMI port. Works well with projects such as projectors or small space LCD/plasma installations. • Compact, lightweight, portable, stylish, easy to store. • It will allow for quicker charging and syncing for phones equipped with USB 3.0. • Connect your Samsung Note 3 with your desktop or notebook computer to access and synchronize address book, calendar, e-mails, photos and more (software may be required for some applications) and charge the Samsung at the same time. • It possesses higher speed for files transfer than other USB cable. It also let you charge your device & support HD output. • This USB 3.0 compatible allows for quick charger and fast data transfer. Take one for your home, office or car. • Connect the Cable with an AC Adapter to charge your Samsung Note 3 through a wall outlet.